Harper is an inspiration to us all. Diagnosed with a rare cancer at age 2, she has had to undergo multiple treatments and surgery to beat the disease. By the age of four she had dealt with more than most people deal with in a lifetime, but through it all she remains a happy, joyful child. The rare cancer was Isolated Myofibroblastic Neoplasm. An IMT of the lung represents an extremely rare type of inflammatory pseudo tumor that appears most commonly in children and young individuals. The cancer is so rare there are only a handful of doctors and only experimental treatments available. Harper’s Hope Foundation was formed to help raise money and awareness for the disease. We are excited to help Harper on her journey to improve treatment and find a cure for the IMT. Grace Church is working with incarcerated men in Arkansas to teach them about authentic manhood using curriculum from 33 Ministries. These men are often forgotten by society while they are incarcerated, but Grace Church has realized this is a perfect time to work with and help rehabilitate the men, and teach them Biblical principles. We are grateful to our wonderful employee for nominating and selecting this great ministry as this month’s charity winner. The vending machine charity winner this month is a free pantry at Conway High School run by Mrs. Certain. The pantry is available to any student and has a policy of each student taking what they need, and leaving what they can. Mrs. Certain started the pantry with the help of students after realizing that many students came to school hungry. Each school day the pantry is visited by kids that might not have breakfast, lunch or personal care items they need to have a successful school day. There is also a special place in the pantry for “take home” items critical for nights and weekends. Being a teenager is hard enough without the fear of not having adequate food and the ability to take care of personal needs. That’s why we are happy to support such an amazing project ran by a caring teacher like Mrs. Certain. The Innovation Hub was created for one singular reason…to help people innovate! The downtown Little Rock organization is for adults and children and is a way Arkansans are dealing with the 21st-centruy economy. With so many changes going on technology and industry it is important for Arkansas to continue to innovate to attract and keep workers in the state. The Innovation Hub provides an incubator setting for businesses to begin. It may be people working in the arts, automated manufacturing, technology or any number of businesses, one thing remains the same. The Innovation Hub is there to help them grow. We were excited to give money to The Innovation Hub as a thanks for the work they do with entrepreneurs. Every night The Van goes out in literal vans all around Little Rock to hand out supplies, food, water, hygiene products, and anything else the unsheltered might need. They don’t just fill there momentary needs though. Aaron and his team do a great job of being intentional in forming a relationship and getting to know the people they help. They get to know how else they can help them and work to identify and break the barriers to obtaining income and housing. The ultimate goal of the Van to help those they get to know move beyond homelessness. The relational work The Van does for the homeless in Little Rock is making a difference. We are proud to present them with a check for the month’s vending machine proceeds. Children are always looking up to someone in their life, and it’s important those individuals are good role models. Unfortunately in today’s world, way too many boys have no male father figure in their life, or if they do they are not leading them in the best way. That’s where the Modern Day Knights program comes into play. Its goal is to bring fathers and sons together to facilitate and help them have those tough conversations needed in life. They also provide mentors to boys without fathers to put a good, steady influence in their life. The program uses Biblical principles to prepare these boys for life. This month’s vending machine charity winner was the Family Resource Center of Grant County. The resource center serves the needs of the people of Grant County. Utility assistance, diaper programs, school supplies and the Angel Tree program are just a few services they offer to their fellow neighbors in need. We were so excited to learn about the Family Resource Center of Grant County, hear about their mission, and be able to donate to such a wonderful organization. The Children’s Protection Center exists to provide a child-friendly facility where professionals work together to protect and treat child abuse victims, work with their families to prevent child abuse, and to hold perpetrators accountable. As this month’s vending machine charity winner, we were moved by the work this group has done and continues to do from such a comprehensive approach. Children are the future of our world, and our hearts are broken each time we hear stories of abuse and neglect. The organizations like Children’s Protection Center are speaking up and giving a voice to those that are not traditionally given a voice themselves. We were honored to present them with a donation and thank them for all the work they have done. This month’s vending machine charity winner is Live Thankfully. This volunteer-run upscale women’s resale shop features reduced prices on gently used brand name items such as jewelry, home goods, shoes, purses, and clothing. All of their profits are donated to local nonprofit organizations that help women and children in crisis. If you have gently used items to donate or just want to shop, visit Live Thankfully. The store is open 10 a.m. – 5 p.m. Wednesday through Friday and 10 a.m. – 4 p.m. on Saturday. This month’s vending machine charity winner is the Quapaw Area Council of the Boy Scouts of America. With several Eagle Scouts on our firm’s staff, this was a special honor. They know firsthand the difference scouting can make in a young person’s life. The Quapaw Area Council wants scouting to be an opportunity for everyone, regardless of their financial situation. They plan to use the money for the scout offices program, which helps provide uniforms, books, gear, and other supplies to scouts who cannot otherwise afford it. Each year the Fraternal Order of Police in Little Rock team up with the U.S. Marine Corps, iHeart Radio, and bikers from all over central Arkansas to brighten the holidays for Arkansas children through Toys for Tots. Toys for Tots, or Toy Hill as it is often called, has helped thousands of children have a merry Christmas through the years. The money from the Rainwater, Holt & Sexton vending machine charity will go directly to buying toys for children over the next couple of days, as the distribution begins on December 10. If you are interested in attending the Toy Hill Weekend event where there will be games, food, music, and toy drop-offs, it is this weekend, December 1-3. The Little Rock Hat Club and it’s event, Chili Fights in the Heights, is this month’s vending machine charity winner. The Little Rock Hat Club is a non-profit men’s group that works to help a variety of charitable organizations through fundraising events. Since 2010 the group has given away over $260,000 to over 32 charities. The annual Chili Fights in the Heights event serves as a fundraiser for the Arkansas Food Bank. Last year $20,000 was donated in time for the holiday season. This year’s event will be held on Saturday, November 4 and there will be a chili cook-off, a tasting time, and live entertainment. Chili cooking begins at 1:00pm and the tasting begins at 4:00. Tickets are $5. This month’s vending machine charity winner is the Cystic Fibrosis Foundation (CFF) Arkansas Chapter. The donation is especially important for us, because one of our employees is directly affected by cystic fibrosis. Cystic fibrosis is a genetic progressive lung disorder that causes lung infections and limits the ability to breathe. The life expectancy for those with the disease has increased over the last several years with the development of new drugs and treatments. CFF’s mission is to cure cystic fibrosis and to help those living with the disease live fuller lives. This month’s vending machine charity winner is The Cure Starts Now. Voted on by our staff, The Cure Starts Now is a cancer charity that focuses on exactly what their name says: finding a cure, now. By researching pediatric brain cancer, they hope to ultimately find a “homerun cure” to end all types of cancer. The Arkansas Chapter of The Cure Starts Now was started in memory of Maylea Estridge, who was diagnosed with a type of brain cancer in March 2014. All funds raised by all chapters of this organization go directly towards cancer research and active efforts to find a cure. 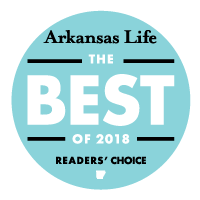 At Rainwater, Holt & Sexton, we pride ourselves on serving all of Arkansas. Yes, we mean geographically, and we have shown our commitment with offices in four locations in the state. That also means serving everyone who lives in Arkansas. Our firm spent the last few days working with the Mexican Consulate’s mobile consulate in Northwest Arkansas. The mobile consulate travels the state helping Mexicans in Arkansas with a variety needs. One need highly expressed was legal help, especially with Power of Attorney. On Thursday, Friday, and Saturday our firm had 5 lawyers and 7 staff onsite to help answer legal questions and assist in creating Powers of Attorney for families. We also called on friends of the firm who are lawyers specializing in immigration and family law. It’s an honor to work with the Mexican Consulate, which is the Mexican government’s representation in Arkansas. We don’t take the responsibility lightly, and we are grateful for the trust they put in us. Through the work with the Mexican Consulate, we have been able to build great relationships with consulate officers and build relationships with people we can help. To learn more, check out our conversation with Univision reporter Karen Perez here.